The messages highlight the arms race between trolls and social media companies that are developing systems to stop them. But the trolls are also learning from their mistakes and developing new strategies to sidestep Twitter’s rules — sometimes with new technology available on other apps — highlighting the arms race between these groups and social media companies that are developing systems to stop them. While much of its focus has been on foreign operations, Twitter has ramped up preventative measures against domestic troll networks that organize in private chats to push coordinated disinformation on their platform. 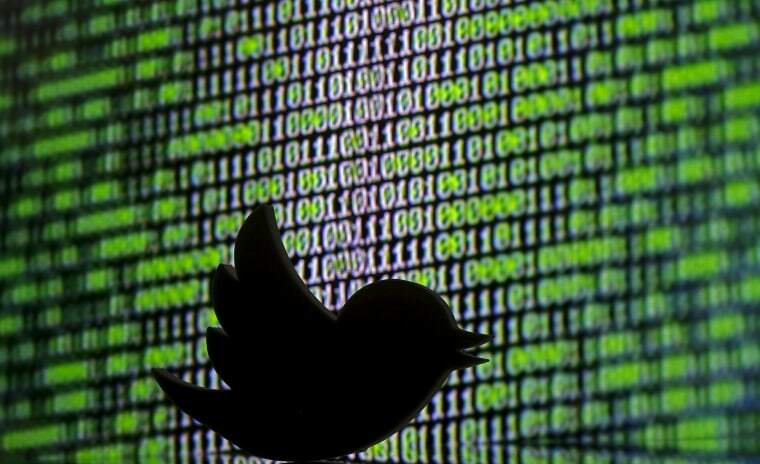 On Friday, Twitter revealed it took down 10,000 accounts that discouraged voting, mostly accounts posing as Democrats. NBC News saw some of those accounts in action when an NBC reporter was mistakenly invited to private chats on Twitter and in the gaming chat room service Discord, where some of those talking points and strategies for spreading disinformation were workshopped in the last month. Many of those strategies, including encouraging Democrats to vote one day after election day, were stopped by an algorithm before they reached users on Twitter. Nina Jankowicz, a global fellow who specializes in disinformation at the Wilson Center's Kennan Institute, a research center that studies Russia, called Twitter’s automated troll enforcement “the type of proactive behavior we need to see more of” from social media companies. Both Twitter and Facebook have devoted “war rooms” to fighting back against election-related disinformation and false conspiracy theories in the run-up to the 2018 midterms. Facebook has publicly struggled with the problem in the last week, as multiple reports have surfaced of viral troll accounts spreading conspiracy theories and false or racist memes. Many of those memes are created or weaponized in small groups then pushed on Facebook pages or public Twitter accounts to achieve maximum virality. In some cases, Twitter’s algorithm could not catch up with persistent trolls working together in private chats. NBC News witnessed trolls developing new strategies on the fly to circumvent the bans. Several were successful in creating unique identities that appeared to be middle-aged women who posted anti-Trump rhetoric as part of a long-term effort to build up followings that could later be used to seed disinformation to hundreds or thousands of followers. A screenshot from a private chat room in which social media trolls discuss how to get around Twitter's security. Other users passed around tutorials, mostly screenshots from the fringe internet message board 4chan, showing techniques that allowed them to evade bans on Twitter and Facebook. Those strategies were used to target Sen. Cory Booker, D-N.J., whom alt-right trolls referred to as “Spartacus,” with a disinformation campaign last month. Some of the trolls' coordinated campaigns remain on Twitter under the hashtags "#nomenmidterm" and "#letwomendecide," where users posing as Democrats implore liberal men not to vote.